Turkmenistan Airlines (www.turkmenairlines.org) runs regular flights between Ashgabat, Chardzhou, Dashoguz, Mary, Turkmenbashi and Turkmenabat, and to Kerki (far east) and Balkanabat. All flight tickets have to be paid for in local currency. From Ashgabat: to Chardzhou - 1 hour 30 minutes; to Mary - 1 hour. The main road in Turkmenistan runs along the route of the Trans-Caspian Railway. There is also a road that runs north from Ashgabat to Tashauz and Kunya-Urgench before crossing into Uzbekistan. This road crosses 500km (311 miles) of the Kara-Kum desert. Conditions can be dangerous. Self-drive hire is available from a few large hotels. You can find taxis and chauffeur-driven cars for hire in all major towns. Many are unlicensed and it's advisable to agree the fare in advance. As many of the street names have changed since independence, it's also worth knowing both the old and new street names when asking directions. An International Driving Permit, or national licence with authorised translation, is required. Trains are cheap, but slow and uncomfortable. 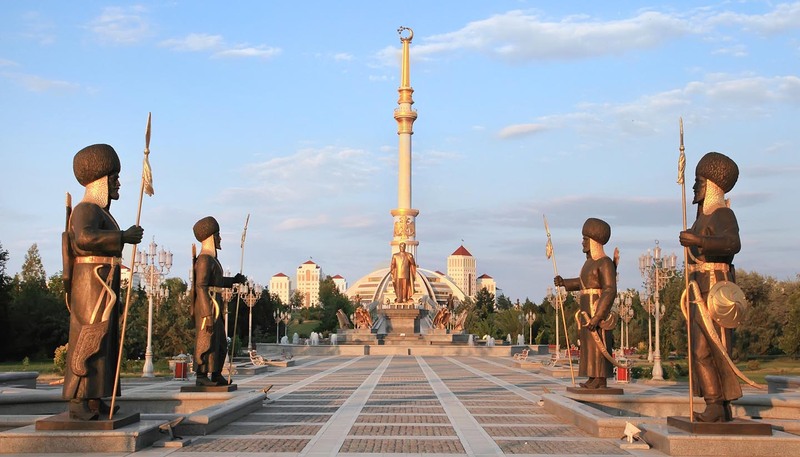 There is a day-time and overnight train between Ashgabat and Turkmenbashi; overnight trains to Turkmenabat, one continuing to Dashgouz; and an overnight service between Ashgabat and Gushgi via Mary (although Gushgi is off limits due to its border with Afghanistan). The Trans-Caspian Railway runs from Turkmenbashi (formerly Krasnovodsk) in the west, through Ashgabat and Mary to Chardzhou in the east before continuing to Bukhara in Uzbekistan.